San Francisco-based financial planner Grove has raised $8 million in a Series A funding round led by Defy.vc. The round also included participation from Tusk Ventures, Bullish, Winklevoss Capital, NextPlay Capital, Kevin Durant and Rich Kleiman of The Durant Company, 500 Fintech, Rabil Ventures, and Patrick Kerney. If that’s not enough names, Grove also got the support of some of its seed investors, including First Round Capital, SV Angel, Upside Partnership, Fuel Capital and NerdWallet co-founder Jake Gibson. The start-up was founded in 2015, and like many other firms cites democracy as a cornerstone of its approach. It’s the same old line used by other start-ups. This new round of funding will be used to expand its product offering. Grove is also hiring – and is looking for engineers, financial planners, marketers and a chief of staff. It publicly launched four months ago. Grove works by asking users to fill out an online profile and syncing their accounts. People then speak with a financial planner to discuss their current situation, and create a personalised plan. 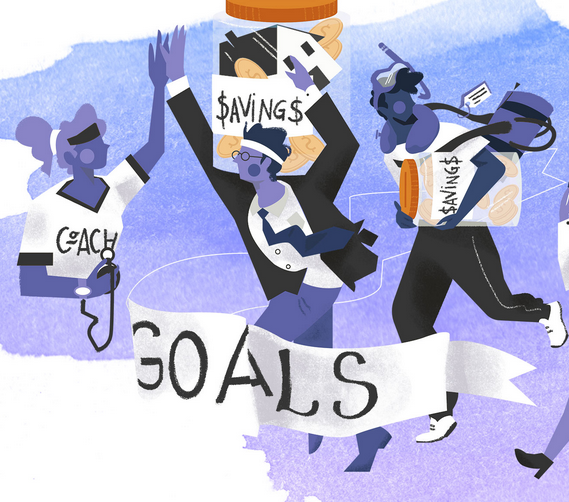 Users’ plans include actionable steps, like how to allocate money between savings and investment accounts and how to take advantage of employers’ retirement benefits. Grove says it will monitor customers’ progress, such as offering updates on important actions to take, and scheduling an annual check-up to keep plans up to date. Hutchins previously worked as “entrepreneur in residence” and as a partner at Google Ventures. Chris Doyle is the other co-founder and its chief investment officer. His experience includes Barclays Capital and C12 Capital Management.